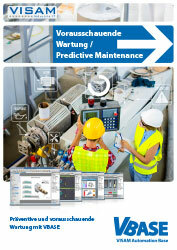 Predictive maintenance software. Longer lifecycles for machines. 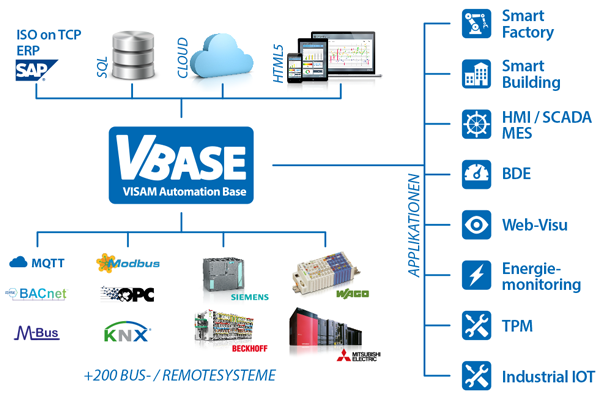 Predictive Maintenance (PdM) with VBASE. Better machine life and lower wear with Predictive Maintenance. Increased life cycle, optimized downtime. Maintenance with VBASE: predictive instead of reactive. Reactive maintenance is expensive, because it leads to unplanned machine downtimes, increased attrition and shorter machine lifetime. And we can find this method way to often in the field. Repair your equipment before they fail unplannable by a defect. 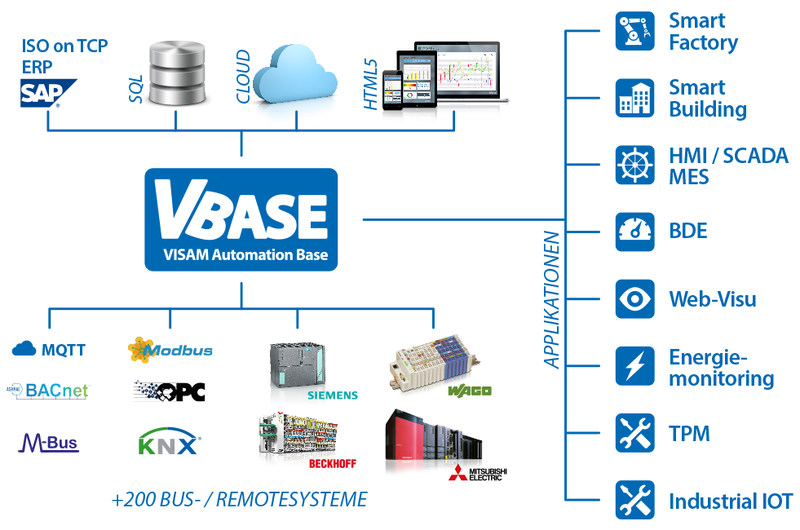 With VBASE we integrate measures for predictive maintenance directly in your machine or system. In particular MES function blocks we encapsulate functions that constantly monitor the status and the number of state changes of individual units and entire plants. We constantly calculate the time until the next maintenance on the basis of specified MTBF parameters. Request our latest VBASE price list now. With the right combination to "Smart Maintenance"
In addition to this basic functionality we can include further individual parameters into this calculation. For example, a power factor can be taken into account for machines which are not permanently operated with the same power. If additional sensor signals from condition monitoring (e.g. vibration and temperature monitoring) are available that represent the current „state of health“ of individual system components, these signals can also be included in the prediction. With the consistent and comprehensive combination of all data from predictive maintenance and condition monitoring we can achieve a smart maintenance system. Status notifications by email, text message, etc. Automatic entries in database-based maintenance books, protocols, etc. All messages are logged and can be written into a digital „maintenance book“ (database). The performed maintenance is recorded and also logged. All maintenance data are permanently available for analyzes, reporting and future optimization approaches. Do you need individual consulting? 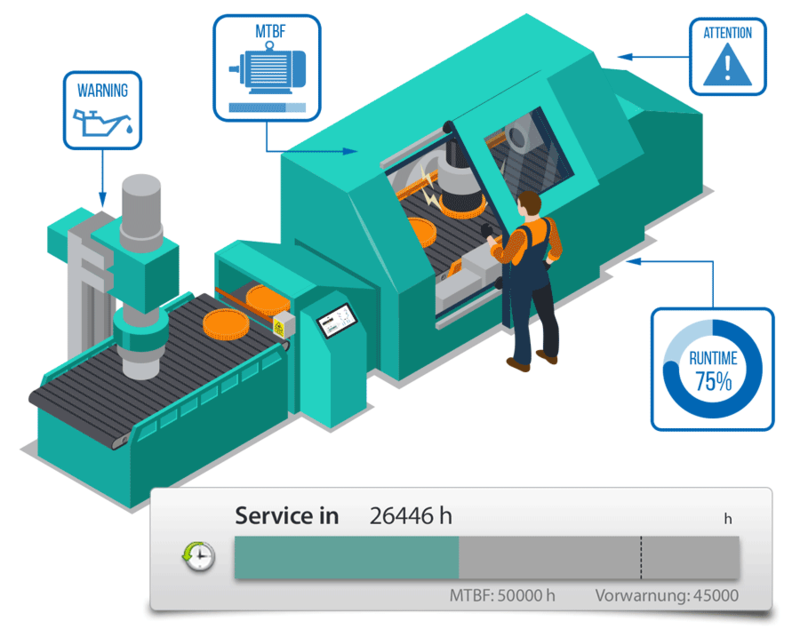 A machine-specific summary of the maintenance information can help easily keeping track. In a central shopfloor display for several machines, a general status indicator can show the maintenance information for each individual machine. The „maintenance book“ for each machine shows the details of the next maintenances. For example, which aggregate needs necessary actions at a expected time. Beside the predictive maintenance information, VBASE can integrate and display more key values parallel to the maintenance data. For example, permanent overall productivity (OEE) or smart meter information to optimize the usage of energy and other resources. Mobile access to your service data with Web-Remote. Each VBASE system has an integrated web interface based on HTML5. 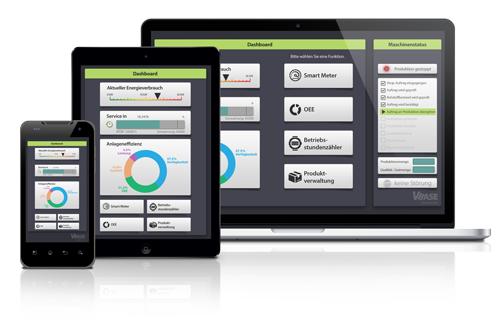 This means that all machine, production and service data can be easily displayed on any mobile device (smartphone, tablet, etc. ), and can also be operated after approval. Thus, the data can be made available on a worldwide basis, in real time. In addition to mobile access, notifications can also be set up which notify the responsible employee or the responsible department by e-mail or text message when the predefined thresholds are reached. 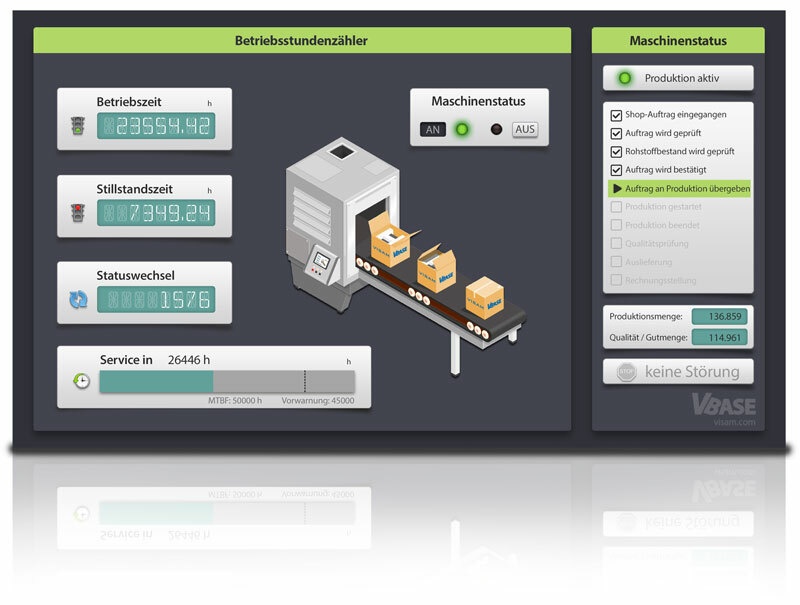 Predictive Maintenance is only one aspect of Industry 4.0 and SmartFactory that VBASE covers. 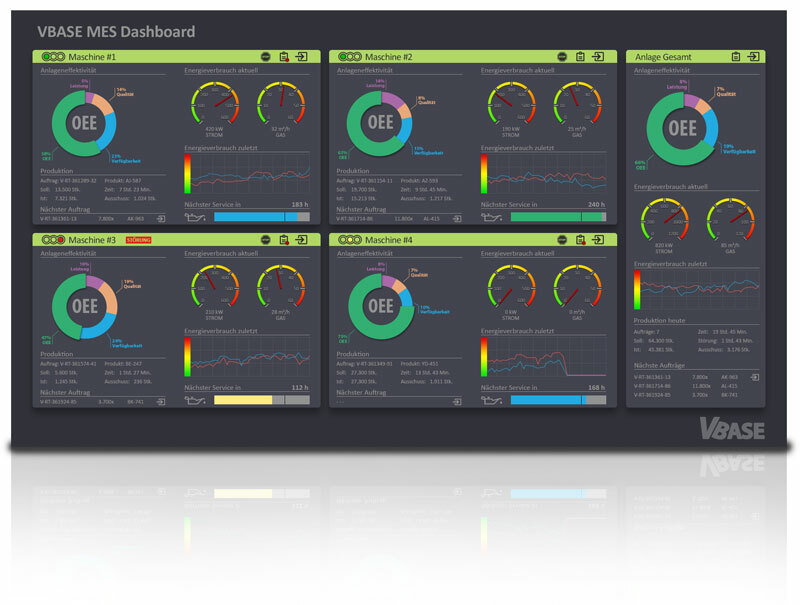 Further functions such as efficiency monitoring (OEE), smart metering, operating data acquisition, MES and more can be individually integrated and combined. Many functions are available in VBASE as function blocks and can be quickly and easily integrated and parameterized. VBASE can be adapted to any industry and includes a variety of drivers for systems from different manufacturers. Thus, Industry 4.0 can also be retrofitted for older production plants.